Is Boris hoping for a Tory by-election vacancy? Is the mayor scheming to get Dave’s job? What is Boris Johnson up to? With the London Olympics being only a year off he’s hardly been off our screens and even before that he was getting attention putting forward his plan to deal with Britain’s growth challenge. The fact that his proposals were out of kilter with current coalition policy is neither here nor there. Just look at his responses in the final minute or so of the John Snow’s C4 News interview last night. Is he just having fun or does he harbour ambitions to get Cameron’s job. Remarkably, given he’s not even an MP, Ladbrokes make him the 4/1 favourite to be the next Tory leader. It seems a silly bet but could be be plotting something? If he is then the time might never be better. If Andy Coulson is charged then Cameron is going to come under a lot of pressure. Wouldn’t that be the ideal situation for the Mayor who was Dave’s compatriot at both Eton and Oxford? But as long as Boris is not in parliament he would be unable to do anything to exploit any perceived weakness. There are only ten months to go before the May 2012 London mayoral election and Boris really doesn’t have much time. He could hardly win a second term and then resign afterwards to get back into the commons. The problem with by-elections is that in recent times Tory MPs have been a very healthy lot and only once in the past decade has a vacancy occurred through ill-health or death. So unless a friendly sitting MP is ready to step aside to make way for Boris then it’s hard to see how he could get back. With one year to go until the opening ceremony of the Olympic Games in London, a YouGov shows British divided over support for the Games and the benefits hosting will bring. 44% said that, with the benefit of hindsight, London should have bid for the 2012 Olympics, just ahead of 42% who felt they should not. Four out of ten people (40%) said they were either â€˜very interestedâ€™ or â€˜fairly interestedâ€™ in the London Olympics. In contrast, nearly six in ten (58%) said they were either â€˜not very interestedâ€™ or â€˜not at all interestedâ€™. However organisers can perhaps take comfort from the fact that just days before the Royal Wedding a YouGov survey measuring interest in that event found a very similar result, with 56% of people either â€˜not very interestedâ€™ or â€˜not at all interestedâ€™. Will the coalition collapse over the boundary review? Will October 2013 be the critical moment? With Labour expected to vote en bloc against, a significant number of Tories likely to lose out and many LDs expected to affected the chances of a very tight vote must be very high. The plan is for the commons to be reduced from 650 to 600. The big winners if the plans go through will be Tories. The first proposals will be published on September 13. 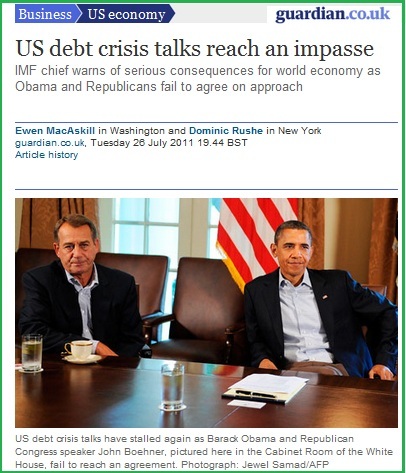 Whoâ€™ll blink first in the US debt crisis? Will Obama and Congress go to the brink and beyond? Possibly the biggest political gamble going on at the moment is the series of judgement calls being made by politicians in Washington. By their failure to agree so far, they are running the very real risk of at the least a partial shutdown of the federal government and at worst an outright default. None of it need happen. The markets are willing to lend the money the government needs but cannot at present due to the debt ceiling limit. That is why thereâ€™s such a high-stakes game being played: something has to be done but there is enormous scope to disagree what that something is – and what the deal eventually does consist of may well play a significant part in next yearâ€™s elections. Thereâ€™s also the reverse side to that process: if it fails, all sides need to be able to blame the other for that failure. What the consequences of such a failure would be arenâ€™t wholly clear. The US government should be able to pay debt interest and other essential bills on the taxes coming in but these are nowhere near enough to cover overall spending – for every seven dollars taxed, it spends ten. Hence the certainty of at least a shutdown if thereâ€™s no deal. For any other country, that deficit, combined with an overall debt level heading towards 100% of GDP and a political system struggling to even start to get to grips with those problems would have been judged inconsistent with a triple-A credit rating some time ago. But the USA is not any other country and the dollar is the global reserve currency. Even so, S&P warned last week that there was an evens chance of a downgrade within the next three months. Having issued that threat, S&P itself now has a lot of credibility on the table, tied quite directly to the outcome of these talks and their response. Politically, three main things are at stake here. Firstly, thereâ€™s Obamaâ€™s legacy. If the House Republicans get there way, the spending cuts would have to impact on many things his administration introduced and as such would undermine his re-election bid if four years after receiving the biggest popular vote ever he canâ€™t show much for his time in office. Secondly, thereâ€™s control of the narrative. This is at the centre of the game of chicken as the basis on which a deal is done will determine who can go to their supporters claiming victory (or whose supporters are less likely to scream â€˜betrayalâ€™). Finally, thereâ€™s whoâ€™s going to get the blame. Both tax rises and spending cuts hurt and there will be losers (there will be winners too and the losers will no doubt react to who they are and what theyâ€™ve kept). We have been somewhere near here before. In 1995/6, the Democrat president Bill Clinton and the Republican-controlled House under Newt Gingrich faced off, resulting in two government shutdowns. The presidentâ€™s ratings tanked during the period but recovered once it was concluded and he was re-elected ten months later, though both houses of Congress stayed with the GOP – essentially a draw. That precedent and the higher stakes this time may influence the key players to go right down to the wire. I donâ€™t expect a resolution this month. How steep a mountain does Labour have to climb? How hard is it going to be to return to power? There are two schools of thought in the Labour Party on the scale of the defeat at the 2010 election. Important expectations are tied to each of these and are creating a peculiar dynamic in the party right now. It sounds strange, but one year on and many of us cannot agree how badly we did and how far we are from the winning post. The first camp led by Jon Trickett MP highlights how Labour lost the votes of 4 million manual workers since 1997. Others such as Patrick Diamond on the right of the party point to the loss of 100 seats and that the Labourâ€™s share of the vote was its lowest since 1918. The argument is that Labour fundamentally lost its way and needs a root and branch reform and new approach to 21st century politics. Alongside this are calls for policies to be developed to fundamentally reconnect Labour with its working/lower middle class base. Some argue new intellectual and philosophical approach (http://www.soundings.org.uk/) that goes beyond simply generating new policies. Itâ€™s in this context that those around â€˜Blue Labourâ€™ have staked out riskier arguments, with at best mixed support. The shared view is that the party needs to be shocked out of many of its old assumptions before Labour can secure its resurgence. This broad school of throught sees the problem facing the party as a fundamental one and that Labour has to reinvent itself for a new age. The alternative and quietly spoken view is that Labour actually didnâ€™t do that badly in the scheme of things. The Conservative Party was denied an expected outright majority and Labour were only 48 seats behind them. They point to the personal unpopularity of Gordon Brown, the collected tiredness from 13 years in office and being considerably outspent in many marginal seats. The argument is if Cameron couldnâ€™t win then, he never will. This camp believes Labour â€˜dodged a bulletâ€™ in 2010 having at one point been polling in third place after the leadership debates. 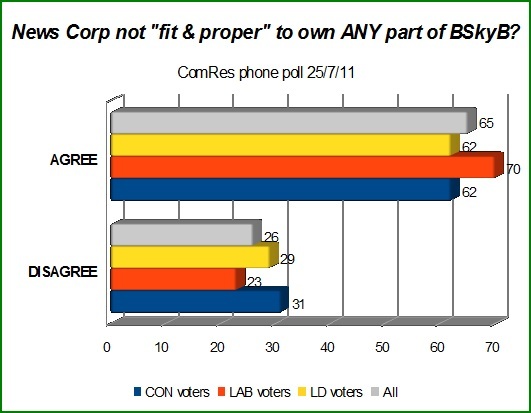 They believe David Cameron hasnâ€™t entirely connected with the public, see the collapse of the Liberal Democrat vote and believe Labour is perfectly poised to win the most seats at the next election, if not gain an outright majority. They are much more cautious about fundamentally revising the direction of the party and argue the Governmentâ€™s own unpopularity combined with some moderate Labour refinements will be sufficient for victory. In many ways these are the most significant divides in the party now. Itâ€™s not â€˜old Labourâ€™ versus â€˜new Labourâ€™ but â€˜about turnâ€™ against â€˜steady as she goesâ€™. How others view the scale of the 2010 defeat can make a difference to the partyâ€™s future success. Media commentators play a role in creating the mood music to which politics is reported. Donors are also a guide. A recent Â£1 million corporate donation to Labour suggests some think Labour regaining power at the next election is far from a lost cause. I’ll be noting the corporate presence at the forthcoming Labour Party conference with interest. Perhaps the soundest guide right now is the bookmakersâ€™. The odds suggest there’s not much in it, with the Tories remain a 5/6 chance with Sportingbet.com and Labour a top-priced 5/4 with VictorChandler.com to win the most seats. How Ed Miliband views the lessons of the 2010 election will determine much of Labour’s forthcoming policy review. He publicly speaks of the scale of defeat but the temptation to play it safe could seem irresistible. Itâ€™s through the competing perspectives of what happened a year ago that Milibandâ€™s leadership will be shaped by and ultimately judged. Growth: Will blaming the Wedding sound a bit lame? But was this a factor in the likely gloomy news? 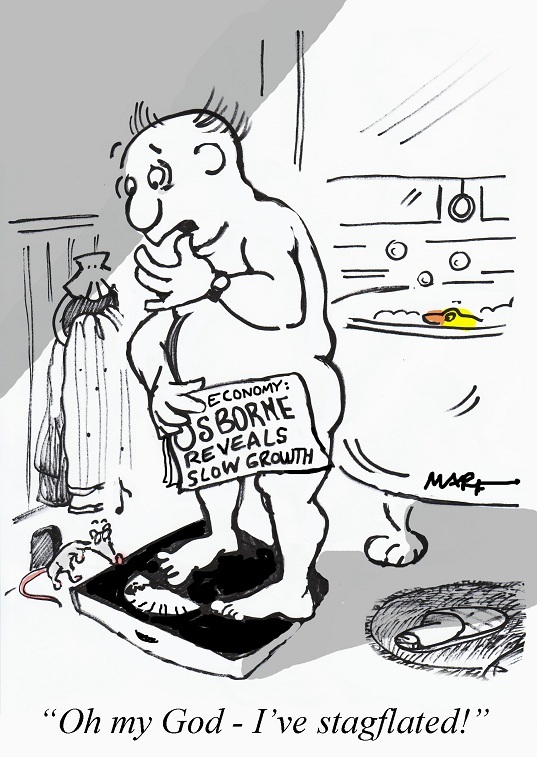 The big story today and, possibly longer, will be the economic growth figures for April – June 2011 (Q2) that are due out this morning. 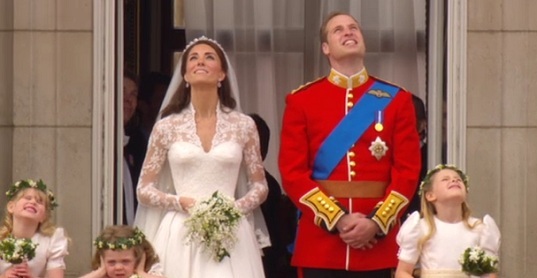 The signs are that the figures are not good and one of the explanations being put forward is that so many people took extended breaks at the time of the royal wedding. It will be recalled that this took place on Friday April 29th three days after the Easter break and a week before the extended spring bank holiday weekend. There might be something in that because a lot of people saw the concentration of so many public holidays in such a short period as a reason to get away without losing too much of their annual work leave entitlement. The trouble for ministers is that this might sound a bit lame – particularly as earlier in the year the snow was said to have been a factor in the disappointing Q1 figures. Osborne seemed on the back foot over his Q1 explanations – maybe he’ll have learned and find a way today of weaving it in without appearing to be holding the royal couple as being made responsible. As can be seen from the chart those interviewed were very supportive of the proposition with not too much varitation between supporters of the three main parties. This suggests that Rupert Murdoch’s companies still have a long way to go in restoring confidence. As I’ve raised on a number of occasions before I have some concerns about the agree/disagree questioning approach which can produce what look to be leading questions. The voting intention shares with changes on the last comparable poll for the Independent are:- CON 34(-2): LAB 40 (nc): LD 13 (+2) – so the only change a two point switch between the coalition partners. The public is divided over whether Mr Cameronâ€™s actions over the scandal make them question whether he has the right judgment and skills to be Prime Minister. Forty seven per cent agree, while 44 per cent disagree. Getting on for nearly one third (31%) of all Tory voters in the poll were in agreement. People still appear to have confidence in the police: only 29 per cent feel they do not trust them in the light of the scandal, while 64 per cent disagree with that statement. The public is split down the middle when asked whether most tabloid journalists are basically decent, honest people. Forty six per cent agree and 45 per cent disagree.